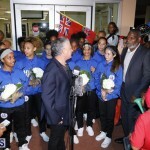 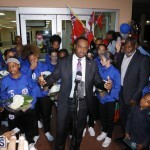 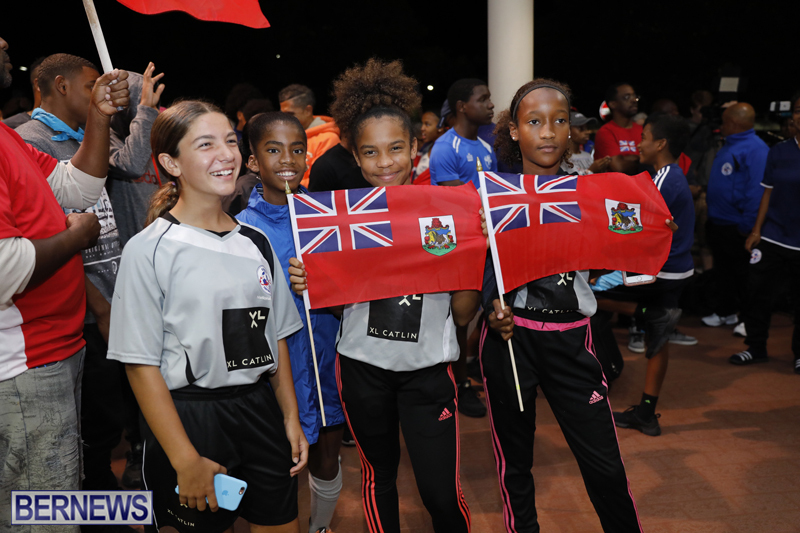 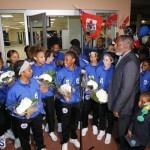 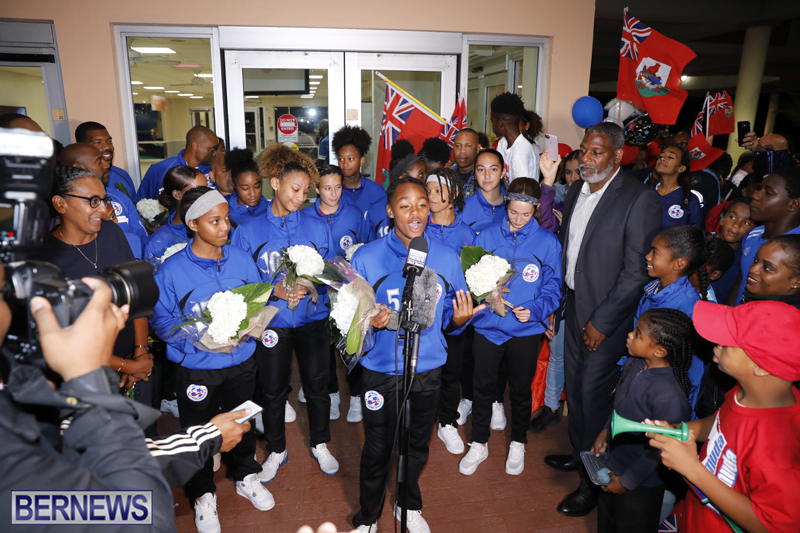 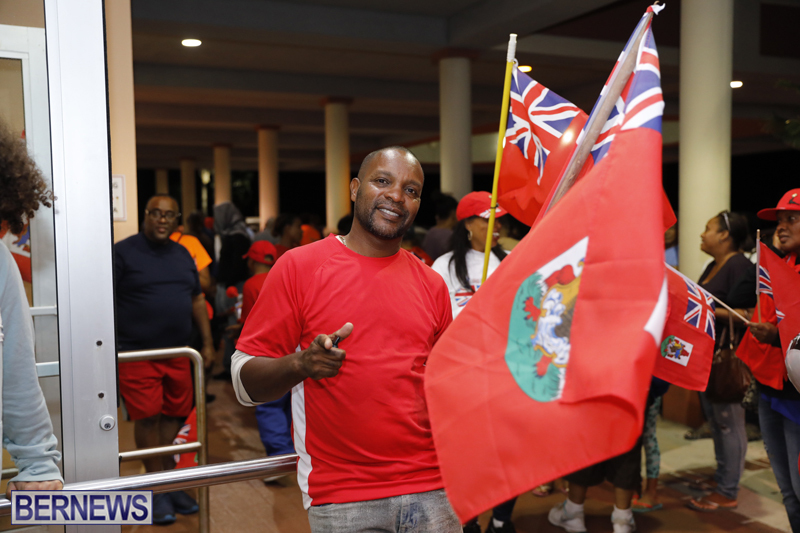 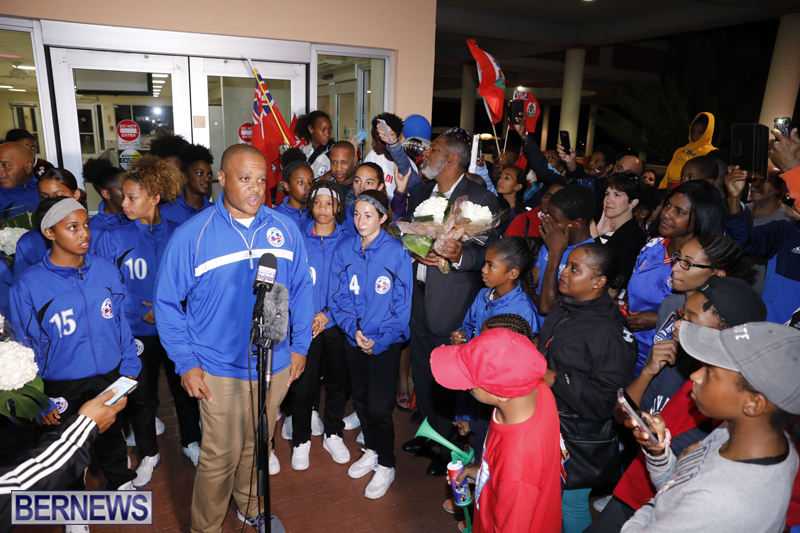 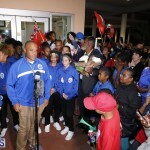 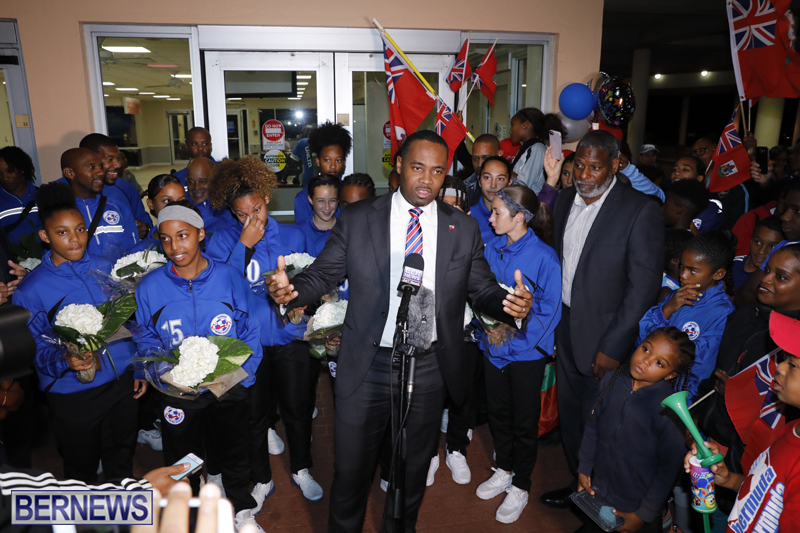 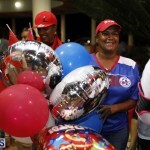 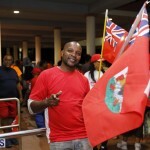 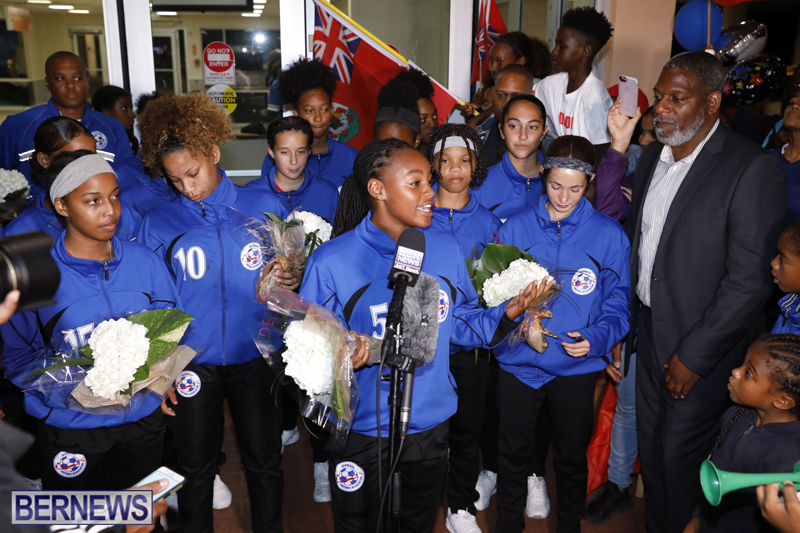 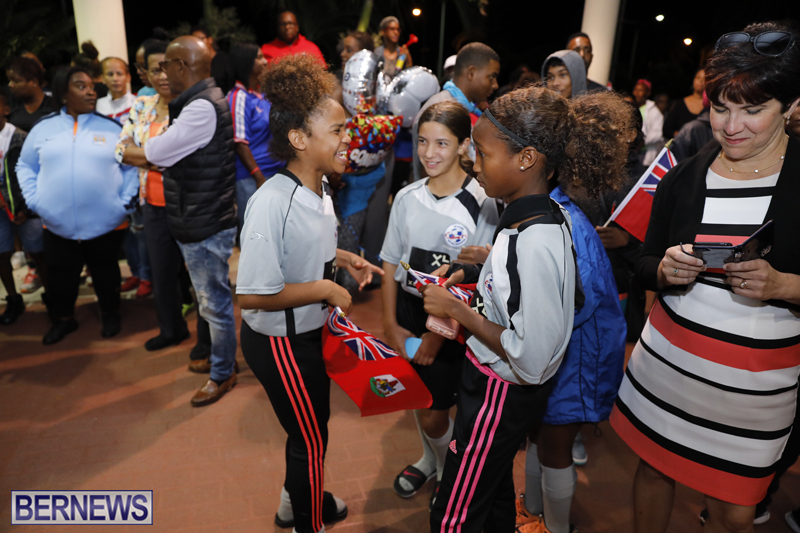 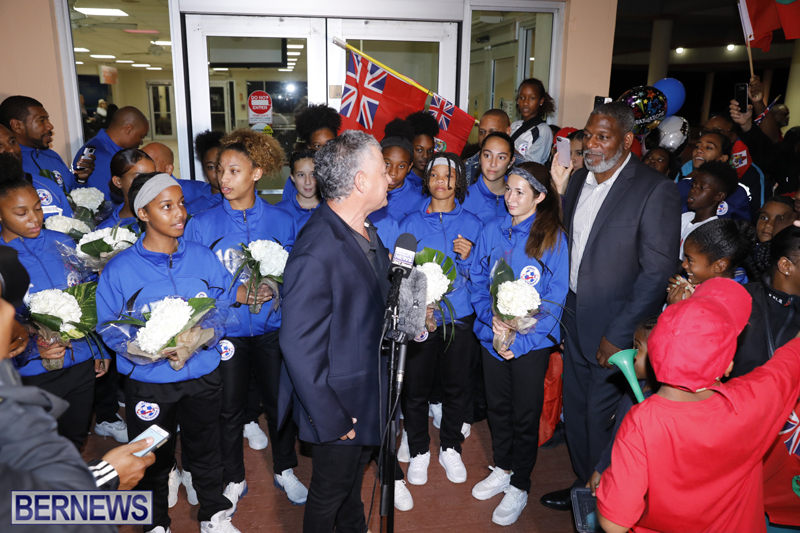 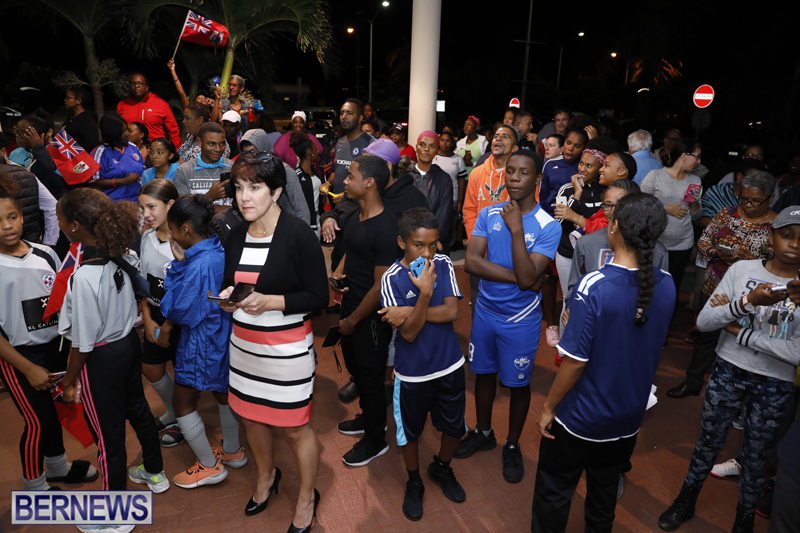 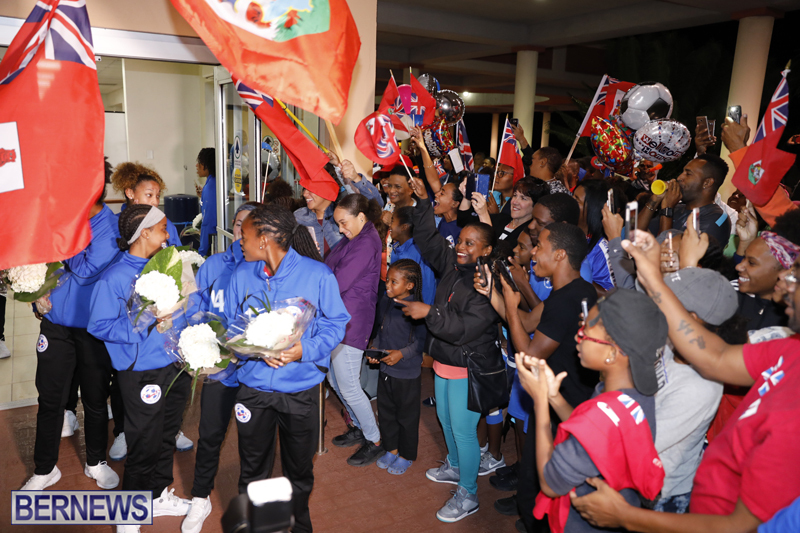 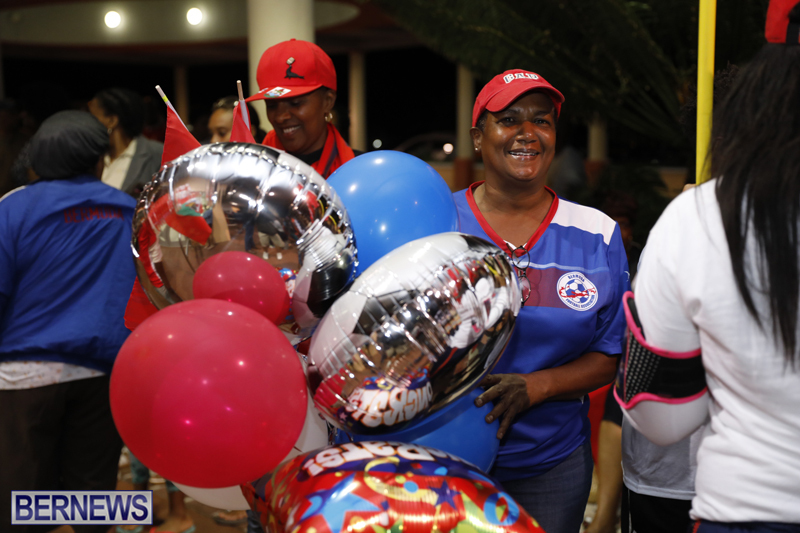 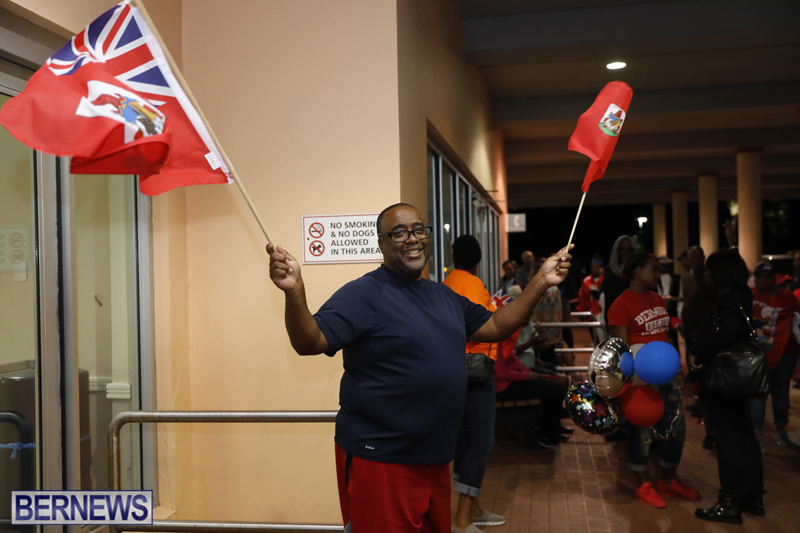 A large crowd of proud and enthusiastic family members, friends and supporters were on hand at the LF Wade International Airport tonight [Oct 23] to welcome home Bermuda’s Under 17 Women’s National Team following their success at the CONCACAF Caribbean U17 Final Round. 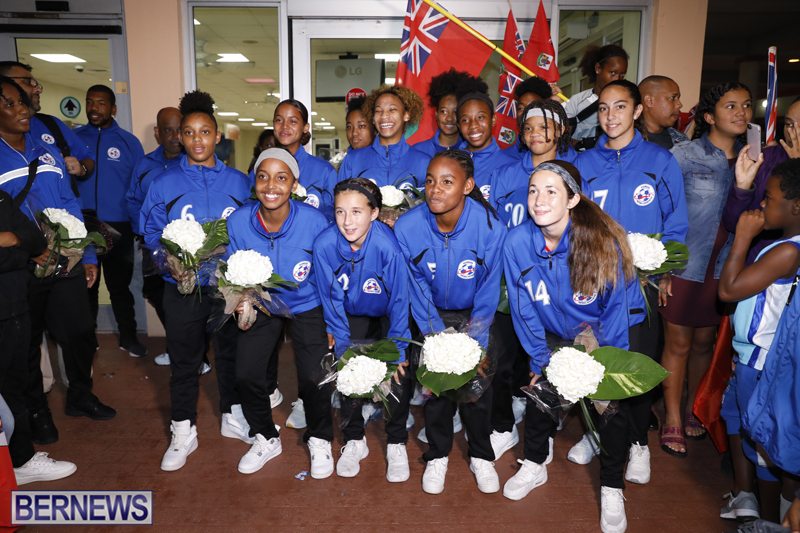 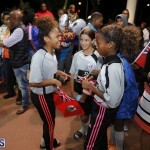 Their exceptional showing throughout the entire tournament saw the Bermuda’s Under 17 Women’s National football team advance to the CONCACAF Finals in Nicaragua. 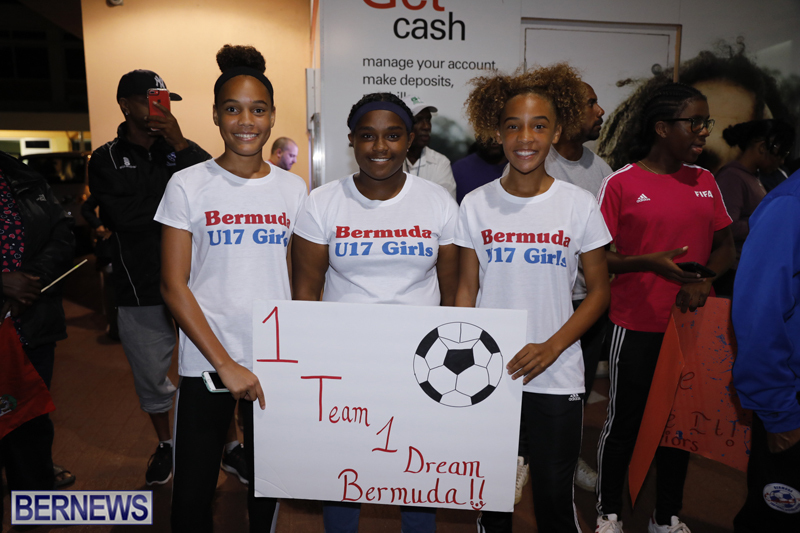 Bermuda finished on top of the group thus claiming one of the automatic spots. 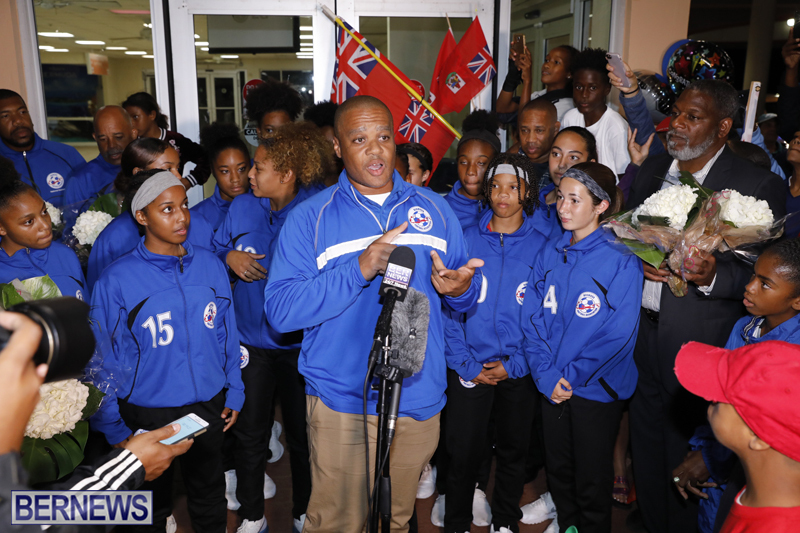 Joining the crowd and BFA President Mark Wade were a number of Government officials including Premier David Burt, Minister of Social Development and Sports Zane DeSilva, Minister for the Cabinet Office with Responsibility for Government Reform Lovitta Foggo and MP Renee Ming. 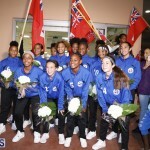 Congratulations to my niece Danni and the rest of the Bermuda under 17 National squad. 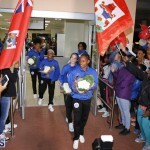 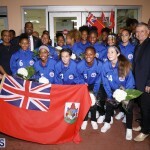 You girls have made Bermuda proud. 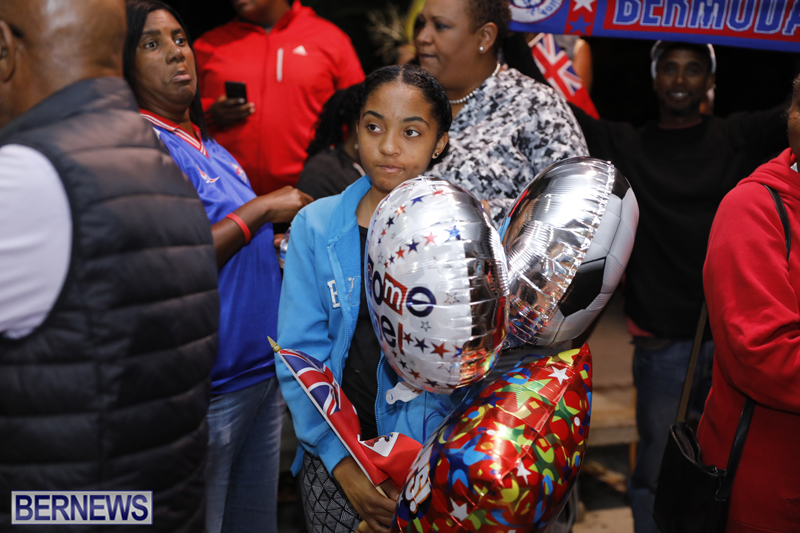 I wish i could have been on the island to celebrate your return. 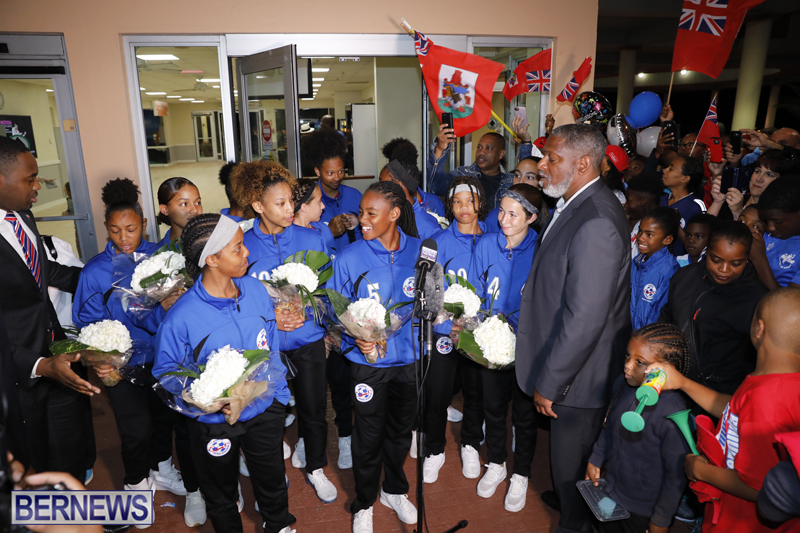 You have shown all Bermuda athletes what can happen when you work,train and play hard, the results that can be achieved. 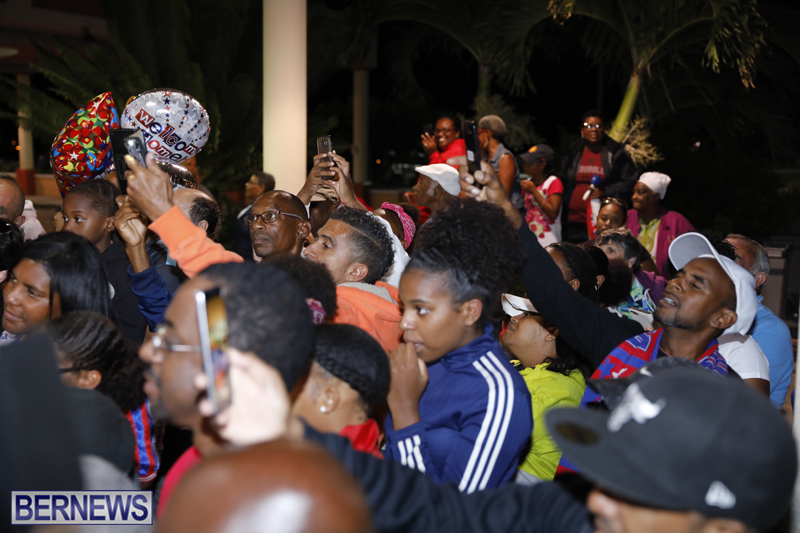 Continue to stay focused because the journey is not over! 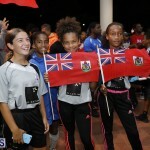 Government, please have a little reception for these girls who deserve so much more. 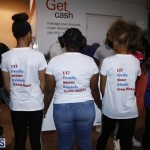 Should they qualify,as an incentive, they should be given a $20,000.00 scholarship for College. 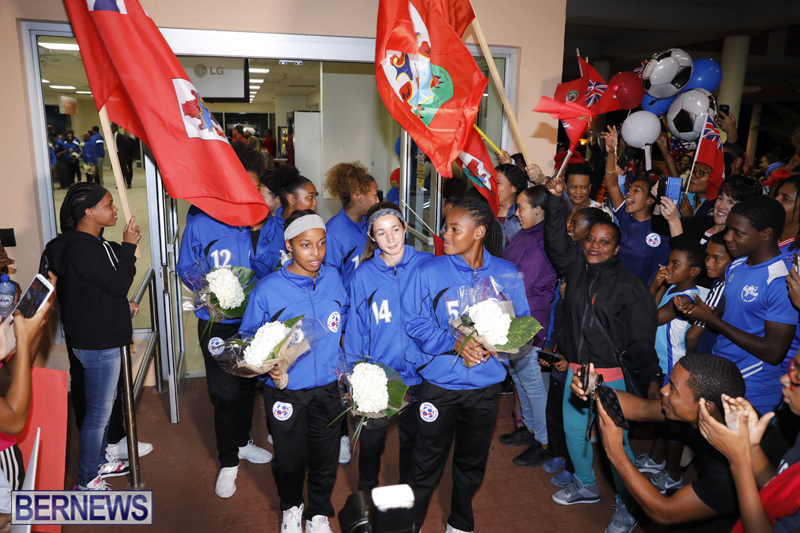 Once again, congratulations to all the young ladies who participated and wishing you all the best in the future! 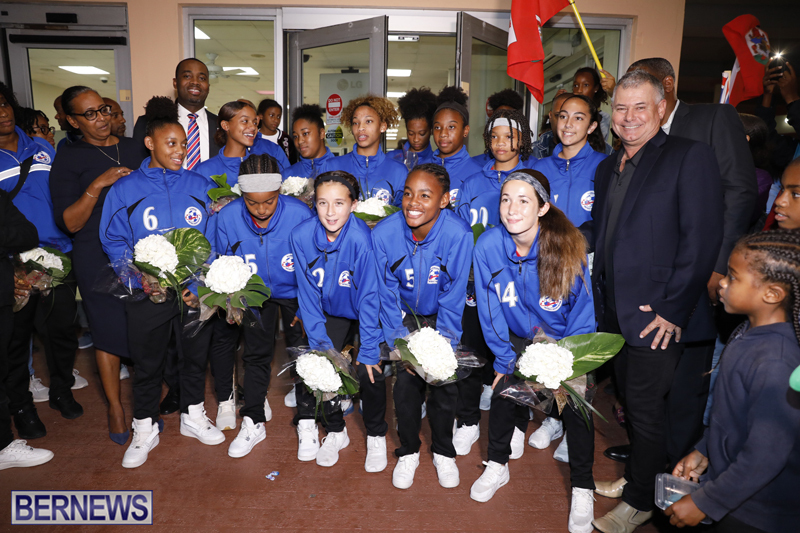 To the Under 17 Women’s National Squad: We are very, very proud of what you have done and what you will do. 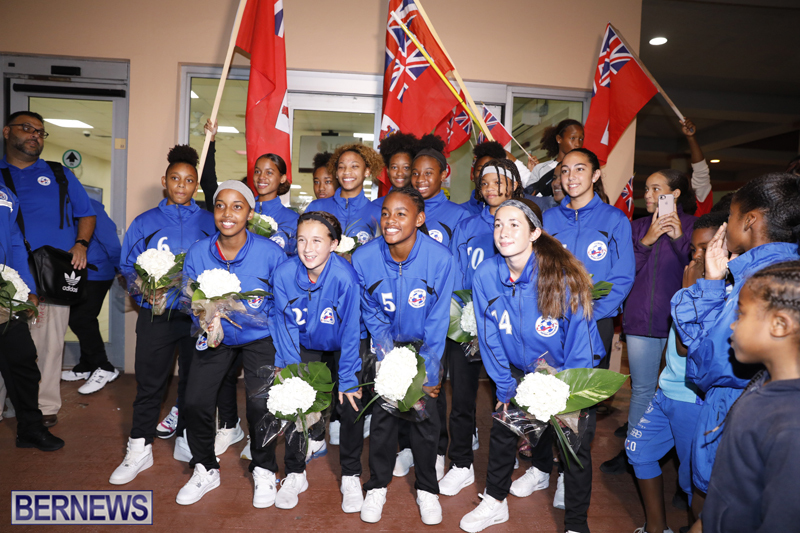 Win or lose, you have an opportunity to show the world the results of hard work, discipline and team chemistry. 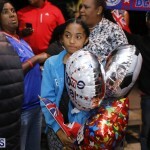 All the best in the future! 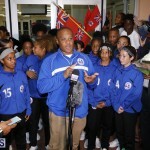 Can’t add any more to what Mr. Blakeney and Dr. Brown have said. 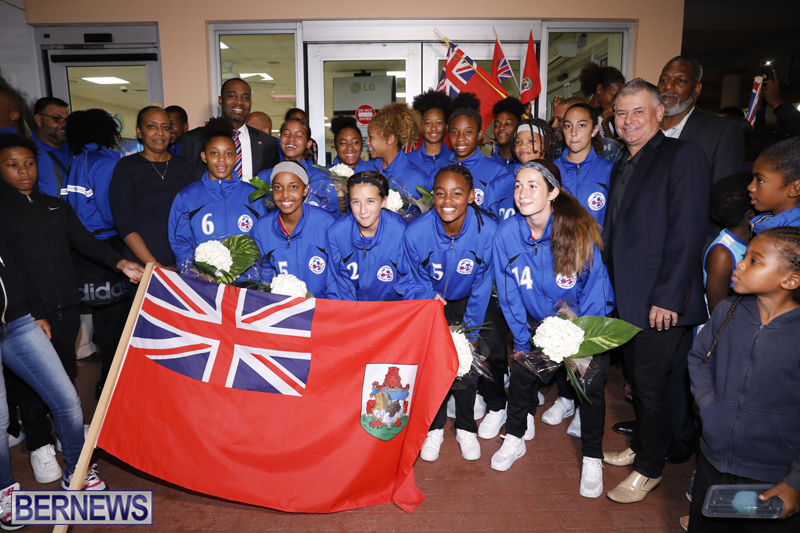 The performances thus far should serve as an inspiration to all people on island whether in sports, arts, or in their studies. 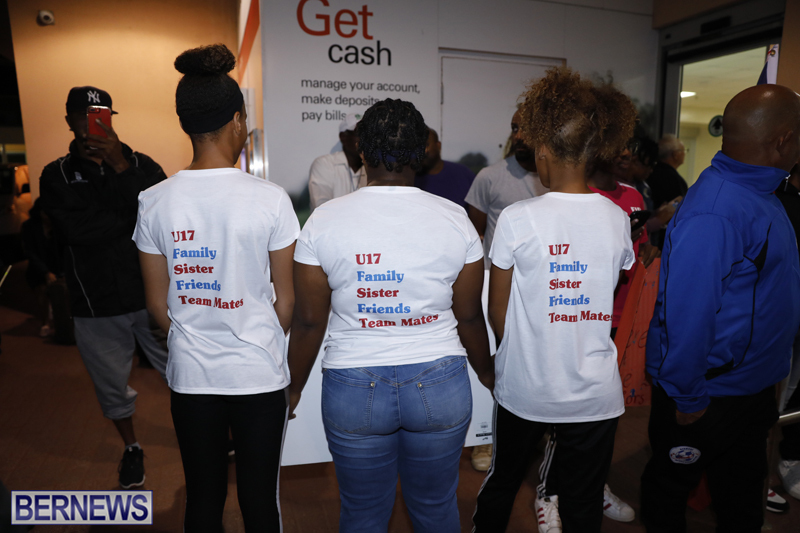 Work hard, trust each other and support each other. 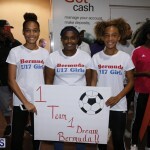 Can’t wait to see the team’s continued growth next year.